Born May 31, 1939 at Ocean Springs, Mississippi on the Gulf Coast near Biloxi, Al Young grew up in the rural South of villages and small towns, and in urban, industrial Detroit. From 1957-1960 he attended the University of Michigan, where he co-edited Generation, the campus literary magazine. In 1961 he emigrated to the San Francisco Bay Area. Settling at first in Berkeley, he held a variety of colorful jobs (folksinger, lab aide, disk jockey, medical photographer, clerk typist, employment counselor) before graduating with honors from U.C. Berkeley with a degree in Spanish. His marriage in 1963 to technical writer and editor Arline Young was blessed with one child: their son Michael, born in 1971. From 1969-1976 he was Edward B. Jones Lecturer in Creative Writing at Stanford near Palo Alto, where he lived and worked for three decades. In the Y2K year 2000 he returned to Berkeley, where he continues to freelance. Young has taught poetry, fiction writing and American literature at Stanford, U.C. Berkeley, U.C. Santa Cruz, U.C. 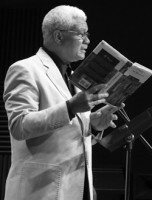 Davis, Bowling Green State University, Foothill College, the Colorado College, Rice University, the University of Washington, the University of Michigan, the University of Arkansas, San José State University, where he was appointed the 2002 Lurie Distinguished Professor of Creative Writing, and Charles University in the Czech Republic under the auspices of the Prague Summer Programs. In the spring of 2003 he taught poetry at Davidson College (Davidson, NC), where he was McGee Professor in Writing. In the fall of 2003, as the first Coffey Visiting Professor of Creative Writing at Appalachian State University in Boone, NC, he taught a poetry workshop. From 2003-2006 he served on the faculty of Cave Canem‘s summer workshop retreats for African American poets. 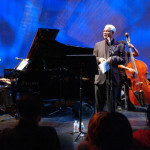 His honors include Wallace Stegner, Guggenheim, Fulbright, National Endowment for the Arts Fellowships, the PEN-Library of Congress Award for Short Fiction, the PEN-USA Award for Non-Fiction, two American Book Awards, two Pushcart Prizes, two New York Times Notable Book of the year citations, an Arts Council Silicon Valley Fellowship, the Stephen Henderson Achievement Award for Poetry, Radio Pacifica’s KPFA Peace Prize, the Glenna Luschei Distinguished Poetry Fellowship, and the Richard Wright Award for Excellence in Literature. At its May 2009 commencement, Whittier College conferred on him its highest honor: the Doctor of Humane Letters degree. 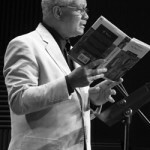 On October 4, 2011 at the University of North Carolina’s Historic Players Theatre, Al Young received the 2011 Thomas Wolfe Prize. Young’s many books include novels, collections of poetry, essays, memoirs and anthologies. 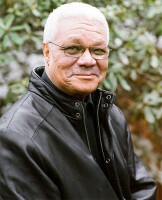 His work has appeared in Paris Review, Ploughshares, Essence, the New York Times, Chicago Review, Seattle Review, Brilliant Corners: A Journal of Jazz & Literature, Chelsea, Rolling Stone, Gathering of the Tribes, the Norton Anthology of African American Literature, and the Oxford Anthology of African American Literature. In the 1970’s he wrote film scripts for producer Joseph Strick, Sidney Poitier, Bill Cosby, and Richard Pryor. In the 1980’s and 90’s, as a cultural ambassador for the United States Information Agency, he traveled throughout South Asia, Egypt, Jordan, Israel and the Palestinian West Bank. In 2001 he traveled to the Persian Gulf to lecture on American and African American literature and culture in Kuwait and in Bahrain for the U.S. Department of State. Subsequent lecture tours have taken him to Southern Italy in 2004, and back to India in 2005. His poetry and prose have been translated into Italian, Spanish, Swedish, Norwegian, Serbo-Croatian, Polish, Chinese, Japanese, Russian, German, Urdu, Korean, and other languages. 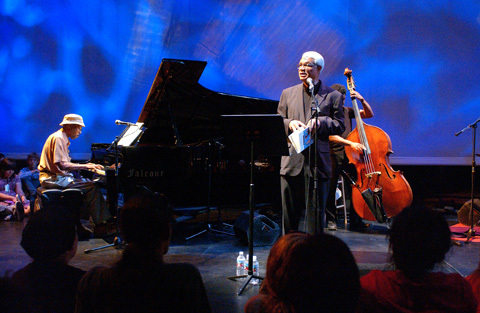 Blending story, recitation and song, Young often performs with musicians. In 2005, Governor Arnold Schwarzenegger appointed him Poet Laureate of California.